My passion for travel and new cultures has been fostered since the beginning of my life. From my native Egypt, I had traveled to Dubai, Ireland, and Paris before the age of five. While I can’t quite personally recall the taste of crepes sampled as a toddler, I wonder sometimes if this early stage travel resulted in some kind of airplane conditioning, better adapting me on some micro level to tolerate increased cabin pressure and long-haul elevated stillness. This lifestyle continued as I grew up around the world, living on five continents by high school graduation. A trip that had a particularly strong influence on me was at age 15, when my dad and I embarked on a European road trip. We traveled to over 11 cities in 14 days. The whirlwind of cultural variances, diverse cuisines, unique art and architecture sparked a passion that I continue to cultivate today in my own travels. To me, travel is a means towards external and internal discovery – learning more about this phenomenal planet we call home, while also teaching us about ourselves as individuals. Introspection and personal growth are just a few of the many rewards derived from exploring the world. I want to share those rewards with others by gaining a detailed understanding the specific needs of my clients and helping them create memorable, well-informed itineraries that allow them to enjoy every moment of their experience. Having lived in Egypt, South America, Europe, and the US, I specialize in multiple destinations around the globe. So, where would you like to go on your next adventure? I’m ready to help make it happen authentically, and in style. Part of a road trip through Andalusia, Spain to Milan, Italy. Visiting the south of Spain and then driving along the French Riviera, through Monaco and into Italy. 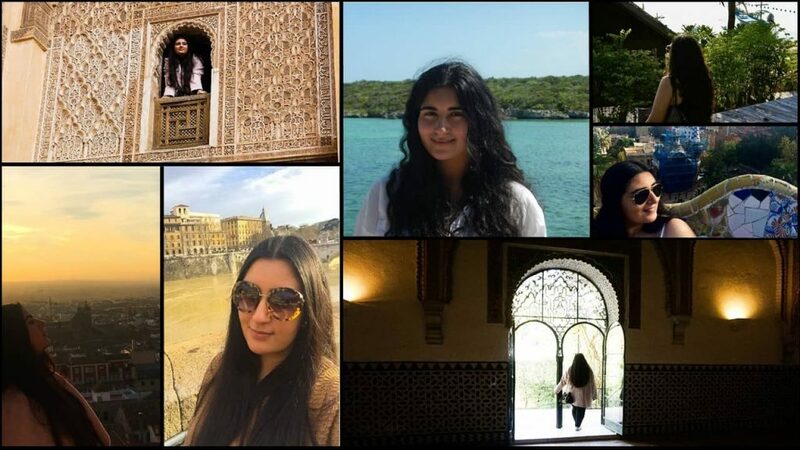 The scenic views and amazing food & culture through Andalusia, continuing up north to beautiful Barcelona, followed by the breathtaking sight of glittering, turquoise water along the coast of the French Riviera was both incredibly gorgeous and exhilarating while exuding the most carefree atmosphere.